An increasing number of companies are employing IT managed services. It’s not hard to see why. The business world is becoming more and more reliant on information technology. So many companies are realizing that they can save on cost while staying ahead of the competition in IT developments. By employing managed IT services, companies can improve efficiency. This is because they are concentrating on the rest of the business. While they can leave the experts to take care of the IT services. Keep reading to discover the 5 reasons why you should use managed IT support. One of the top reasons why companies choose managed IT services is because it’s much more cost-effective than hiring permanent staff. The resources required to manage your IT services can be immense. The demand for your tech-savvy staff members will gradually become overwhelming to handle. If you’re determined to grow your company, it’s important to outsource IT services so that your staff can concentrate on other stuff. For small and medium-sized businesses, it makes financial sense to outsource it to a professional IT management firm. This why the finance team can calculate exactly how much is required to manage the IT systems each month. Your financial team will surely thank you for helping them determine the budget for monthly operations expenses. How can small and medium-sized businesses be expected to keep up with the latest development in technology at the time? By outsourcing your systems to IT managed services, you can leave the experts to address any issues. This means that you get access to the latest tech knowledge and resources to make sure your company stays ahead of the game. But the best part is that you don’t have to pay over the odds for it. Uptime is the time in which a computer network is up and running. If you want to keep your company’s IT systems running all the time, it’s important to have the managed IT support from the professionals. Emergencies and disasters happen. Your company needs to be prepared for the worst-case scenario. If you’re not downtime could cause untold damage to your credibility and ability to operate. By outsourcing your IT services to the experts, they’ll make sure your company has a business disaster recovery plan (BDR) in place in case of downtime. With managed IT services, you don’t just get the occasional check-in. But rather it’s a 24/7 service that ensures your IT systems are running properly all the time. 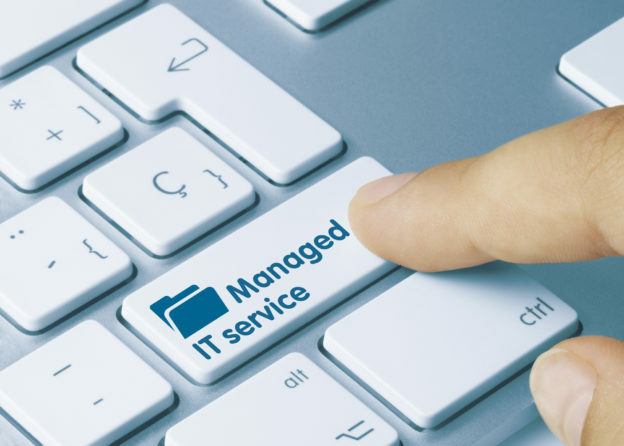 No matter how big or small the problem, you could consult the managed IT services for a solution. You can sleep easy knowing everything is taken care of. But sometimes you won’t even notice that there was a problem. Before you know it, the IT managed support will have everything working soundly once again. This means that any slight glitches or pesky bugs will be taken care of immediately. Do you work with other organizations and client data? It’s important that they can trust you. If they know that you have a secure IT system in place, they will have no problem doing business with you. With managed IT services, you confidently know that your client’s data is protected. Regulations and compliance are constantly changing. It’s difficult to keep up with the latest policy changes. By employing managed IT support you can rest peacefully that your system will comply with the regulation. Now you know the reasons why employing IT managed services makes sense for your company. From ensuring that your client’s data is secure to making sure your company has the latest technology at hand, it’s important to outsourcing IT support. If you’re interested in obtaining IT services, get in touch with us today!